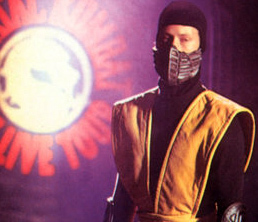 During a time when it was totally acceptable to have Teenage Mutant Ninja Turtles and Mighty Morphin’ Power Rangers take the stage in live, Broadway style productions, the promotion machine behind all things Mortal Kombat decided such a spectacle would be a brilliant way to capitalize on the fame of one of the most violent videogames of all time. Thus was born the family friendly stage spectacle known as Mortal Kombat: Live Tour. Since the formation of the ESRB (Entertainment Software Rating Board), Mortal Kombat had been specifically cited as not for children, but that wasn’t going to stop the “rated R” game from opening a 200 show tour at Radio City Music Hall. This was the late in the summer of 1995. Media, technology and entertainment began to make a significant metamorphosis while I was working at Tower Records (all of which have since closed, RIP). We were selling a new computer operating system called Windows 95, OJ Simpson was very much on trial for a double murder (a very real bit of violence for which he was eventually found not guilty) and Mortal Kombat was everywhere. By year’s end the franchise conquered arcades, home consoles, movie screen and, strangest of all, the stage – with the Mortal Kombat: Live Tour. Fifteen years ago this September. Where does the time go? Like all good train wrecks there was audience participation, something to fill the void where Fatalities used to be. Yes, that’s right. It may come as a shock, but there were no fatality moves during the performance. Not once did Sub Zero removing anyone’s frozen head and attached spine. Perhaps they just didn’t know the button combos. Fatalities wound up being replaced with some call and answer with the audience. Of course, didn’t say anything fun like, “Test your might!” or “Finish Him!” No, the audience would simply yell out, “Run!” and, “Kick him!” during any scenes where someone needed to run or be kicked. I might be able to sing a little, but I certainly can’t dance or do karate. That said, these dancers are probably a lot closer to Step Up! 3D than Enter the Dragon. 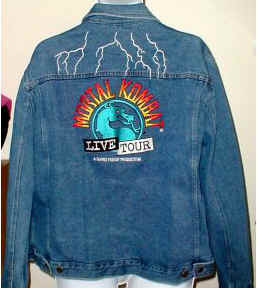 Surprisingly, there was never a Mortal Kombat: Live Tour II. Nothing says expensive theater souvenirs like fully embroidered denim jackets. I will send you a dollar if you make it through this whole video. 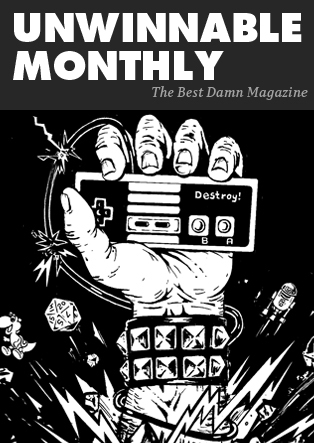 A Digest to Digest To X-Rays, Joysticks and Fatalities Toasty! Dave Trainer Is Finished!